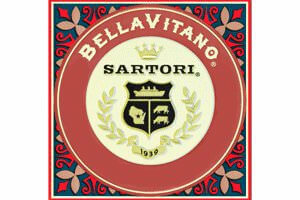 The BellaVitano line of cheese made by Sartori consists of a number of popular cheese that have taken the cheese lovers palate by storm and all of them are award-winners. Varieties include BellaVitano Gold - a Sartori original, Balsamic BellaVitano - bathed in Balsamic Vinegar, Black Pepper BellaVitano - rubbed with cracked black peppercorns, Merlot BellaVitano - an ideal combination of wine and cheese, Raspberry BellaVitano - soaked with handcrafted Raspberry Tart ale, Espresso BellaVitano - hand-rubbed with freshly roasted espresso. Each variety pair will with various wines, beers and fruits, and/or nuts. Experience the tempting flavors; you will not be disappointed. We drink coffee at breakfast, lunch and after dinner; many of us also eat cheese at breakfast, lunch and sometimes after dinner. So a combination of cheese and coffee is a rather logical one and the Sartori Cheese company made a winning product with their Espresso BellaVitano. Freshly roasted espresso is hand-rubbed into wheels of BellaVitano and aged to creamy perfection. The cheese received a Silver Medal in the 2010 World Cheese Awards and a 3rd place in the 2011 American Cheese Society Competition. It pairs well with Pinot Noir, Shiraz, Merlot and Chardonnay or with your fruit beers, stout, Porter beer, Trappist style ale or Barley wine. Food pairings are also multiple, how about chocolate, dried fruit, sweet pastries, honey.